Breast Cancer: Do this chemo – 100 percent cure! You believe that? June (not real name) is a 32-year-old lady. She was diagnosed with breast cancer and had undergo a mastectomy. Histopathology report indicated the tumour was 37 mm in size. No evidence of malignancy seen on the 9 sentinel lymph nodes. The tumour is positive for estrogen and progesterone receptors and HER2. 1. Four cycles of AC – andriamycin + cyclophosphamide. 2. Twelve cycles of Taxol. 3. One year on Herceptin. 4. Followed by oral drug, Tamoxifen for ten years! The oncologist told June that if she did not undergo this treatment her cancer will recur within the next 2 to 3 years. The cancer will be all over the body and she will die! But if June were to undergo chemotherapy as suggested by the oncologist she will be cured – a hundred percent! June came to seek our help on 13 June 2014. 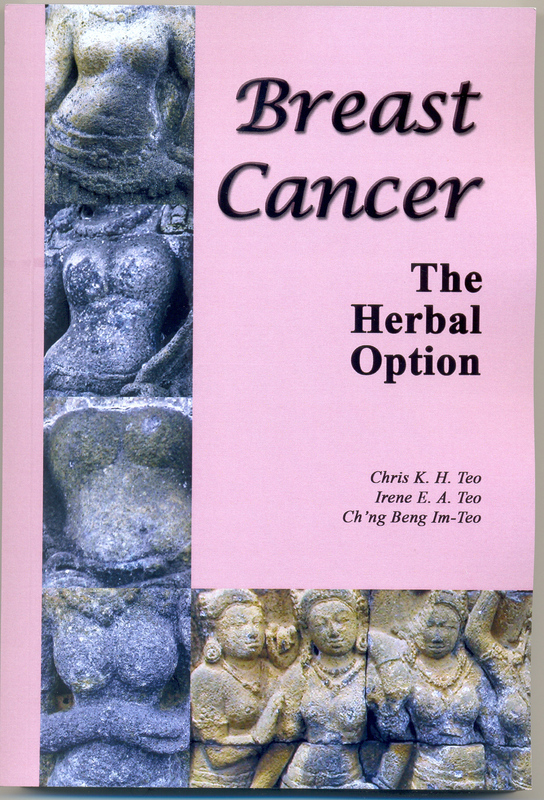 She decided to take herbs instead of chemotherapy. 108 women were said to die of breast cancer each day. 5 women died of breast cancer per hour. Every 13 minutes one woman in the US died of breast cancer. Think hard. If the above “recipe” given by this American oncologist practising in Singapore is really true, why must so many women in the US die of breast cancer each year? I feel sad to hear such a story. In an earlier posting, RP was told that if she undergoes chemotherapy for her breast cancer she would have a 70 percent chance of cure. In this case, June was told that she would have a 100 percent chance of cure after her RM300,000-chemo-treatment. Do you believe the oncologist? June did not believe her doctor! Please reflect on the following. 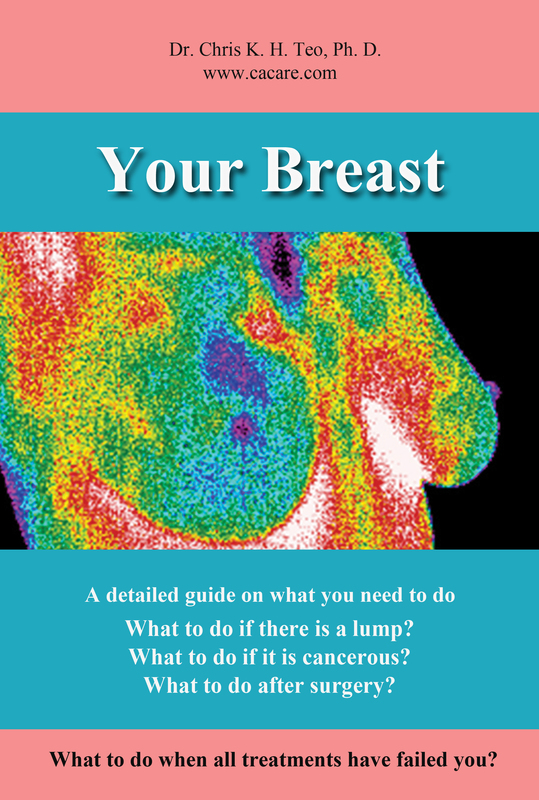 Breast cancer is the number one problem we encounter at CA Care. If you are unfortunate enough to be diagnosed with breast cancer, I suggest that you read these two books to know more about another side of chemotherapy and radiotherapy. This entry was posted in Breast Cancer and tagged 100 percent cure, breast cancer, chemotherapy by CA Care. Bookmark the permalink.